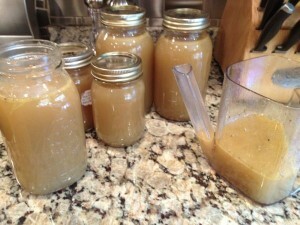 I’ve explained how to make homemade chicken stock within some of the soup recipes in the past. I use chicken stock in a lot of different dishes and decided to clean out the freezer again last weekend while I was on a Sunday cooking spree! Every time we eat a whole chicken (or turkey) whether it came from the store or I have cooked it for the family, I never discard the skin and/or bones. Once the majority of the meat has been picked clean from the carcass, I tuck the remainder of the chicken into a freezer bag and stow it away until I have a few and am running low on fresh stock. You can freeze or can your stock to have on hand for future dishes and it is just so much better than the plain old chicken broth off of the grocery shelf. It really doesn’t take much more than that! 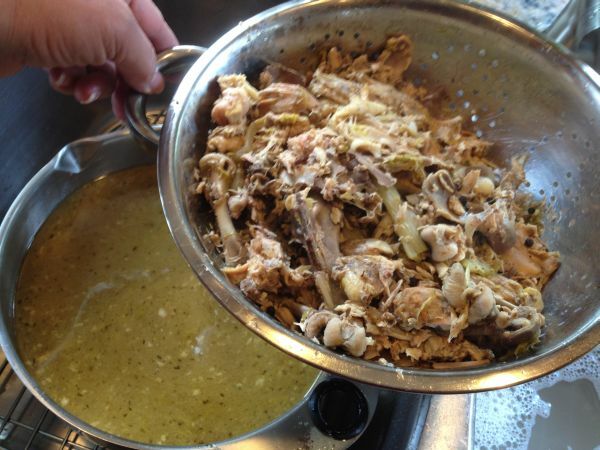 To get started assembling the chicken stock… If you are preparing another dish, do not discard your vegetable scraps or peels. You can add them to make a more flavorful stock. Start by placing the bones and skin of the chicken into a stock pot. 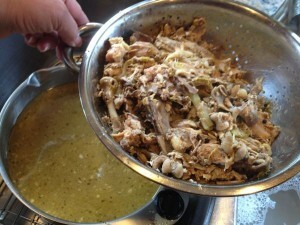 Add any carrots, onions and any unused washed celery parts to the chicken carcass. If you enjoy garlic like our family does, smash a whole cloves of garlic (no need to peel) and also add to the pot. Fill pot nearly to the top with water covering the scrap ingredients and add a couple of tablespoons of salt and pepper or whole peppercorns to make soup base stock. Bring to a low simmer, cover and allow to cook for at least an hour. 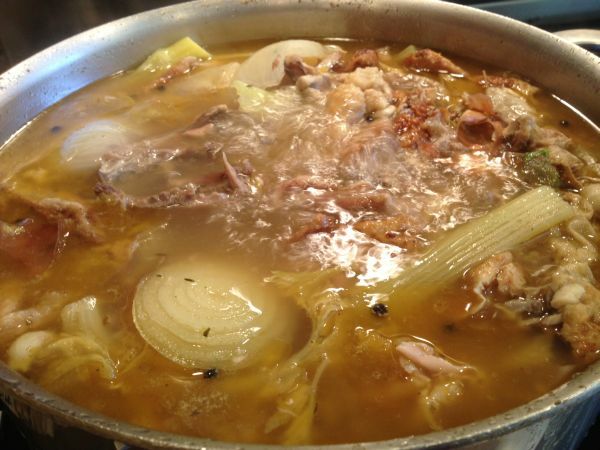 Allow to cool somewhat and then drain the chicken stock & scraps into a large colander retaining the chicken stock into a larger clean bowl. Discard the ingredients except the juice in the pot. Using a separator, remove and toss the heavy fats and oil layer from the stock by allowing to settle for a bit before adding the fresh stock into your storage containers! Use int he future for making Risotto, sauces, casseroles and many other homemade delightful dishes!